Bill Gates at a forum in Shanghai, China, in 2018. On Monday, Stanford unveiled its new Stanford Institute for Human-Centered Artificial Intelligence. Bill Gates was the keynote speaker, and he spoke in more depth than he has in the last several years about both his fears for AI and his hopes for it. The comparison of AI — which today is mostly employed to show you ads, write stories, play games, and generate photographs — to nuclear weapons might seem overwrought to some. But many experts agree with Gates that it’s warranted. There is a substantial risk that we’ll design powerful AI systems that have unintended behavior — and if they’re deployed carelessly, those experts think we might drive our own species extinct. Despite those risks, researchers are enthusiastically proceeding with exploration of AI system capabilities, with several significant breakthroughs in just the last few months. Why’s that? There are probably lots of incentives — profit, fame, internal competition — but one motivation is certainly the belief that AI has the potential to have enormous benefits commensurate with its enormous risks. Gates spoke to those aspirations, too. 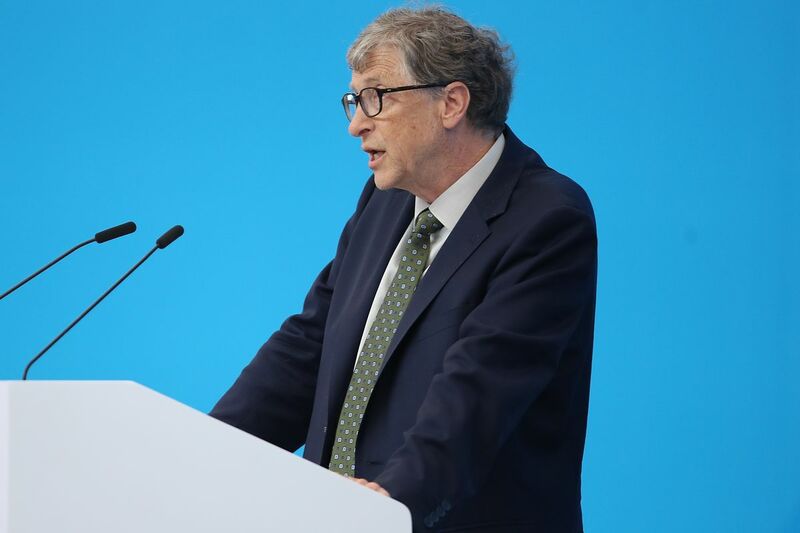 So far, he said, as far as ways AI has benefitted society so far, “I won’t say there are that many.” But he sees potential — especially in the areas that he’s dedicated his post-Microsoft life to: health care, education, and global poverty. He’s hopeful that AI can also transform the field of education, by making it easier for students to have personalized instructor time from AI assistant teachers. He’s hopeful there are insights about education that AI will help us uncover, too. “With everything we have learned about education, you could still say that the best teacher ever had lived 100 years ago,” Gates said. “You could not say that about doctors.” He thinks AI might change that. The potential benefits mean that no one is going to stop working toward more advanced AI systems. The potential risks mean that it’s essential this be done carefully and responsibly, with a lot of thought put into international coordination, inter-organizational coordination, and policies aimed at ensuring AI is deployed safely and benefits all of humanity. Stanford University and Gates are in interestingly similar positions here. Both drove the field of computing forwards to where it stands today — Stanford with countless top researchers contributing to the development of AI, and Gates as a driver of personal computing at Microsoft. Both are now taking a look at what they’ve wrought — with some pride, but also some apprehension. Both are now pivoting toward ensuring that technological progress does good rather than harm — nuclear energy, not nuclear weapons. As AI progress speeds along, it’s a more urgent priority than ever.